Reclaim your network—on premises and in the cloud. The challenges of network and data security are complex. Solving them does not need to be. With Baynetwork’s 20 years of experience in IT security solutions, we will secure your systems against all kinds of cyber threats. We enjoy relationships with such hardware and software partners like Cisco, Juniper, Palo Alto Networks, Dell, HP, Super Micro, EMC, SonicWall, Symantec, ForcePoint, Digital Guardian, InfoWatch, Trend Micro and ESET among others to ensure that your network is protected. 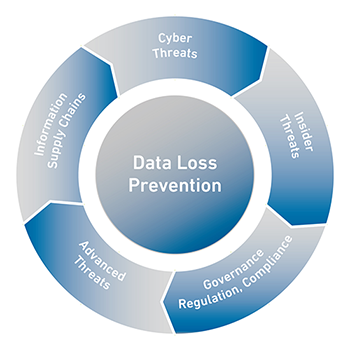 Baynetwork also provides data loss prevention (DLP) solutions that perform both content inspection and contextual analysis of data at rest on-premises or in cloud applications and cloud storage, in motion over the network or in use on a managed endpoint device. Our DLP strategy ensures that your users do not send sensitive or critical information outside the secure corporate network. Our IT solutions provide a wall of security that is nearly impenetrable to viruses, hacking, intrusion, data mining and denial of service. Baynetwork’s experienced engineers are proactive, communicating and recommending IT security solutions for your specific place of business. 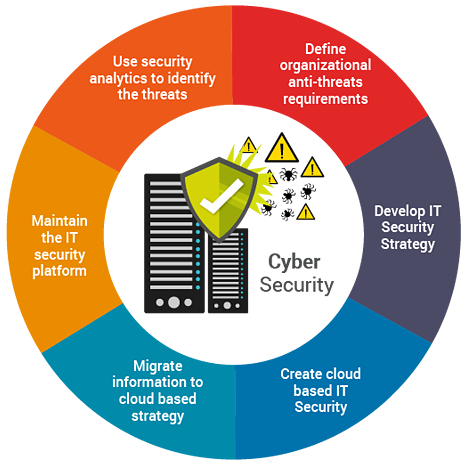 Give your security and IT teams an integrated way to proactively detect and respond to advanced cyber attacks across any infrastructure. 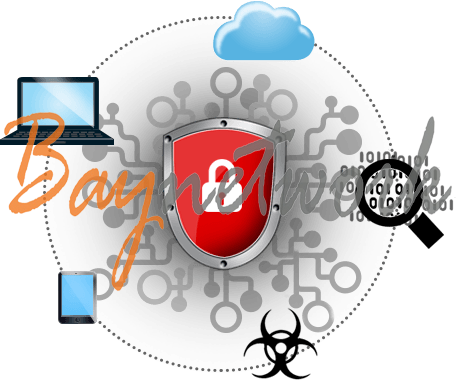 Baynetwork will deploy it's enterprise security framework that provides 360 degrees of active cyber protection and secure access. Why IT Security are NOT Simple, and it takes certified trained Security Experts to do it? At Baynetwork we tailor our security solutions to fit your company needs. You may have existing security platforms and systems, and we will work with these. For example, for our customers handling credit card data and must adhere to Payment Card Industry (PCI) compliance so we perform the daily log review required by the PCI Data Security Standards. Our security professionals can provide an assessment and design a customized solution to fit your unique situation. How can Baynetwork’s IT Security Services Protect Me? Most companies do not have a Chief Information Security Officer. We become their virtual CISO. For the CISO, the scarcest resource, even for those organizations with larger budgets, is often skilled security staff. Due to this scarcity, they often make compromises on their security posture and find it hard to take on new security initiatives. We, at Baynetwork provide experienced security experts so busy CISOs or companies managers can keep up with new threats and government compliance requirements. What Baynetwork's IT Security Services can do for our company? The Baynetwork Managed IT Security Services extends your IT teams capacity to protect applications, computing, and network infrastructure with advanced security solutions that are easy to implement, fully managed and do not require large upfront investments. Baynetwork’s Managed Security Services removes the burden of around-the-clock monitoring from organization’s already taxed internal IT staff. Baynetwork's IT security engineers have countless hours of experience and have accumulated numerous certifications from many different manufacturers. Each engineer invests a minimum of 80+ hours per year in intensive continuing professional education. Baynetwork delivers peace of mind so that you can continue safely running your business while we provide watchdog protection over your precious data and systems. Call or contact us today and let our Security experts evaluate your business infrastructure and practises for all security treats and setup free consultation and onsite visit.